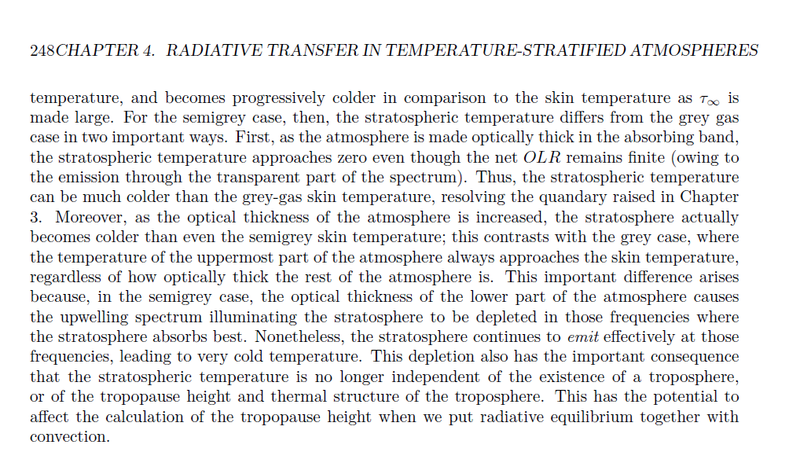 the temperature of the uppermost part of the atmosphere always approaches the skin temperature, regardless of how optically thick the rest of the atmosphere is." 1. In my very first post "What is the greenhouse effect" I calculated the temperature profile using the formulas provided by Goody and Yung where the stratospheric cooling fell out quite simply apparently without any assumption about a "grey" or "non-grey" atmosphere. Hence, are these formulas valid at all? 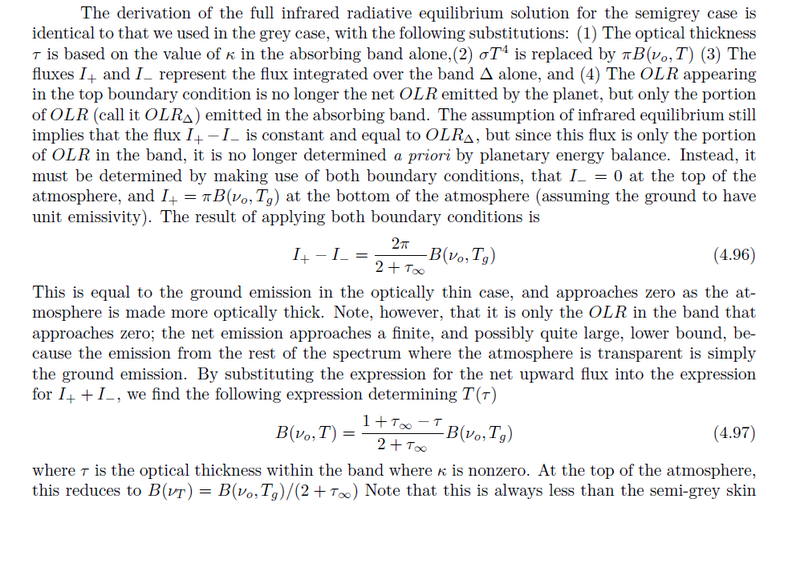 Are there several greenhouse effects, in that case, which is the IPCC one? 3. Where is the observational evidence for all these claims? As far as I can see, the stratospheric temperature of most planets can be calculated from the incident solar energy without any special consideration of the spectral properties of the constituent gases.